If the old window has wood blocks holding the top sash in place, remove them. Lower the top sash for measuring clearance, then measure the height of the window from where the top sash meets the head jamb to where the bottom sash meets the sill when the bottom sash is fully closed. Take an inside measurement of the frame from jamb to jamb. Raise the bottom sash and place a carpenter’s protractor on the sill, the angle will register. Marvin’s standard bottom rail angle is 14 degrees, other angles must be specified. NOTE: Double Hung sash shown above. Instructions and measuring locations apply to Single Hung, Magnum Double / Single Hung sash, and Magnum Historical sash. To insure a proper screen fit, it is recommended to order a screen after the Tilt Pac installation. Measure from the top casing to the edge of where the screen will rest at the sill, minus 3/32′′ (2) for the outside measurement (OSM) of the screen height. Measure from the inside edge of the side casing to the inside edge of the opposite side casing, minus 1/8′′ (3) for the outside measurement (OSM) of the screen width. NOTE: Double Hung sash and screen are shown above. 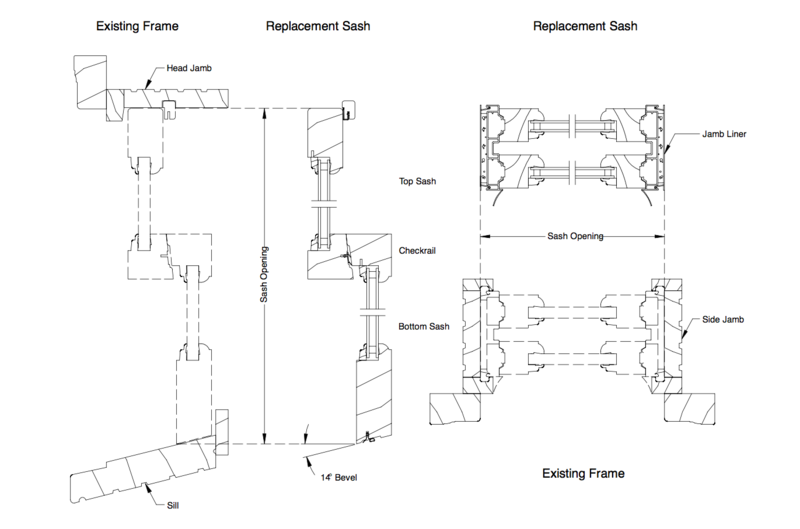 Instructions and measuring locations apply to Single Hung, Magnum Double / Single Hung sash, and Magnum Historical sash. Screen measuring instructions also apply to Combination Storm / Screen measurements. 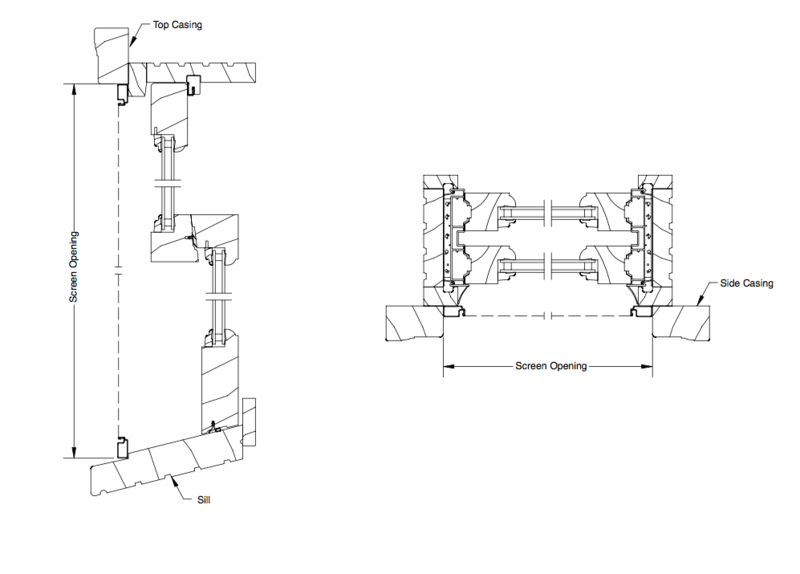 Standard angle on combination bottom rails is 14 degrees, other angles must be specified.